Start and Scale 7-Figure eCommerce Business in 60 Days. Guaranteed. WEEK 1 – E-commerce Blueprint Overview + Hyper Profitable Product / Niche Selection. We will review the structure of this program and the main elements you need to succeed. I will show you step-by-step how to find products that will sell amazingly with 99% confidence that have super high margins. This by itself will put you ona fast track to success. While others will be testing dozens of products wasting weeks and months and thousands of dollars, you will become profitable in the first 1-7 days and after that scale fast to maximize profits! WEEK 2 – How to increase your profit margins by 100% – 300% by setting up simple marketing automation (only takes 30 minutes to setup). This is the mandatory element of any successful ecommerce business. You will be able to generate a lot of money without spending a dime on Facebook ads. And this is critical to create a sustainable business. WEEK 3 – How to make 30-50% more from every customer you get so you never lose money. You will be making more from each order and customer. So even if you spend more on ads, you will still be making a profit! WEEK 4 – Top apps to make your customer buy more products from you so you make more profit and can scale your ads FAST. The result of this part will be few dollars of profit from each order. That means you can easily make $100 – $1000 a day profit when you will be driving FB traffic to your store. WEEK 5 – How to setup highly converting store and funnel so you can start making profit in just few days without a lot of testing. Screw this part and your business will fail. I will help you to create highly converting website that people will LOVE buying from. That will increase your profits and ROI from each dollar you spend on ads. 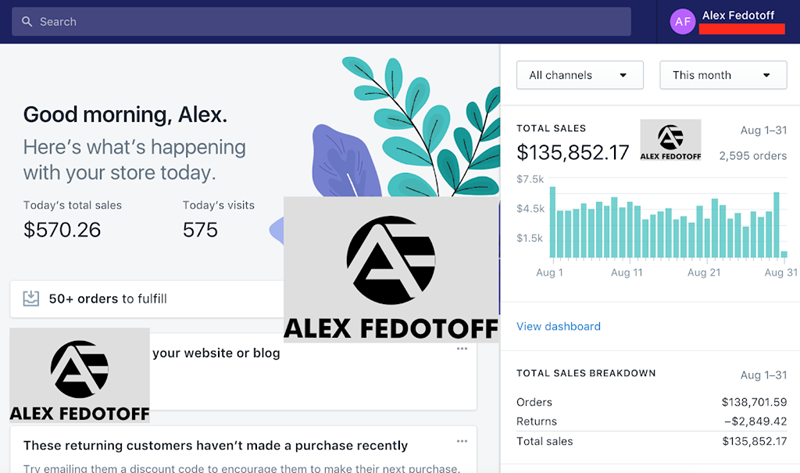 WEEK 6 – How to start and scale profitable Facebook and Instagram campaigns so you never lose money on ads. Advanced scaling techniques and insider tips you won’t find anywhere else. You will become top 1% of all Facebook advertisers by learning from me personally. 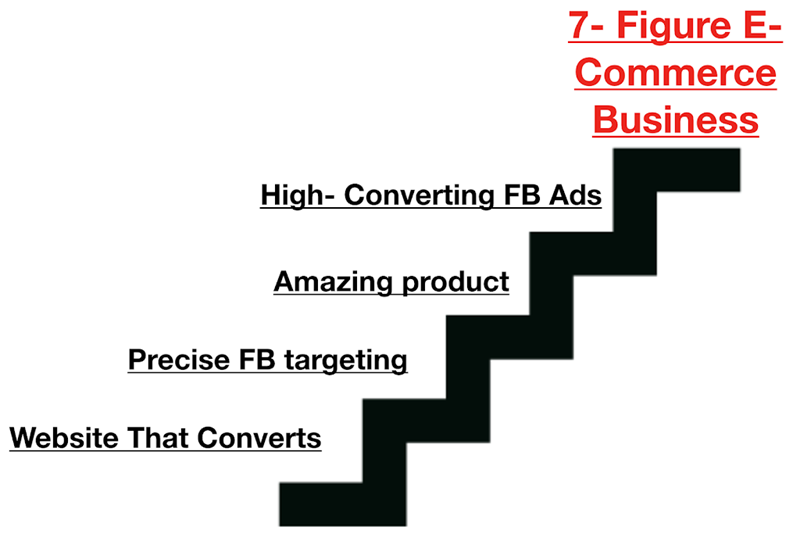 All the targeting secrets, high converting ad tips and tricks that MAJORITY of people will never find out and will feed Facebook with their money with nothing in return. But you will know and will be able to generate BUYER traffic on demand for any product. WEEK 7 – Customer acquisition tactics. Funnels, ads breakdown, tools to shortcut success. Small shortcuts that will help you make more money faster and easier. I will share insights that multi-millionaires use in their funnels so you can apply it to our store and increase profits! WEEK 8 – Scaling and automation. Hiring rockstar contractors, outsourcing the work and scaling to $100K per month and beyond. Money without lifestyle isn’t very exciting because you will burn yourself OUT. So I will show you how to work less and make more by hiring TOP professionals for cheap and let them help your business grow. Systems, checklists and templates to manage your highly profitable business in just few hours a day. Hi week 1, Lesson 1 the excel spreadsheet does not work, please can you look at this and reupload, kindly? Hi, file is working fine. Just checked (office 2016). Please, can I know the date of appearance of this course? Can you have a look for updates of this course please? There must be a lot of Q&A also I think. The last one here is from sept ’18. Hi, this is everything I have.